Rio Tinto's autonomous haulage trucks at the West Angelas minesite. Photo by Christian Sprogoe Photography from Rio Tinto's Flickr page. A research report by Wood Mackenzie asserts that electrification and automation will be a key priority for global mining companies as they try to move away from fossil fuels. The document, Global Trends: What To Look For In 2019, states that to reach such a goal, major firms are employing data analytics that allow them to improve productivity and efficiency at a low cost. “Building a world-class low-cost mining business seems to be the mantra. Major players, such as BHP, Rio Tinto and Vale, are increasing the share of electricity and automation in mining operations. The objective is to not only reduce scope 1 emissions (from their own activities) and air pollution, but also to lower human involvement and opex,” the report reads. Major players, such as BHP, Rio Tinto and Vale, are increasing the share of electricity and automation in mining operations. WoodMac’s document brings back the case of the world’s No.1 miner, BHP (ASX:BHP), whose leadership team set a long-term goal of achieving net-zero scope 1 and 2 emissions by the second half of this century. 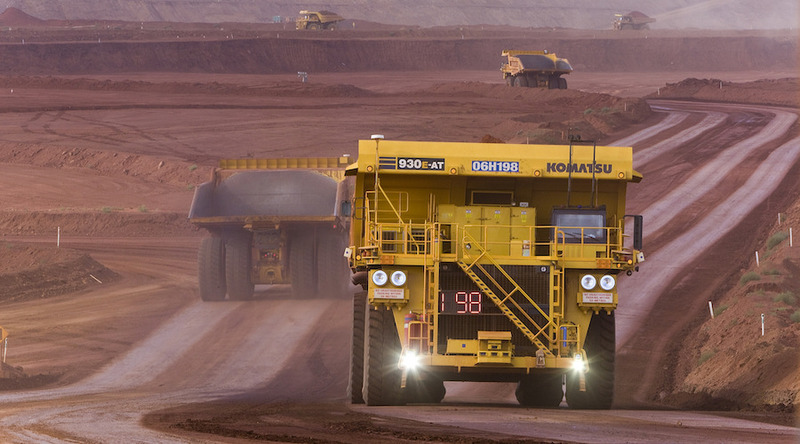 It also highlights the case of Rio Tinto (ASX, LON:RIO), which announced the successful deployment of AutoHaul in 2018, establishing the world’s largest robot and first automated heavy-haul long-distance rail network in the Pilbara region of Western Australia. “The key question will be whether other mining majors follow this trend in 2019," Wood Mackenzie’s Research Director, Prakash Sharma, said in a media statement. The report also highlights strategies being employed by miners such as Rio Tinto, Wesfarmers, and Consol, among others, whose management decided to support a full transition away from fossil-heavy businesses, decarbonisation, and capitalisation. "BHP, South32, Mitsubishi, JERA and Banpu have all made moves to reduce the carbon footprint of their legacy businesses. This has incorporated either divesting thermal coal business to focus on metallurgical coal or moving into related areas such as renewables and battery raw materials. In addition, BHP sold its US shale assets in 2018 to BP for $10.5 billion versus the $15.1 billion it originally paid to acquire them from Petrohawk,” Wood Mackenzie reports. According to Sharma, increasing investor, regulatory and consumer pressures will continue to push companies towards decarbonising their portfolios. “Reputational risk is increasing for some. Strategies may differ, but everyone – upstream, refining, power utilities, mining, shipping and automakers – is thinking about it. Finance and insurance firms are also tweaking portfolios to reduce their carbon footprint. We expect more companies to unveil energy transition blueprints in 2019,” Sharma said.